Summer Lee headshot used by permission. 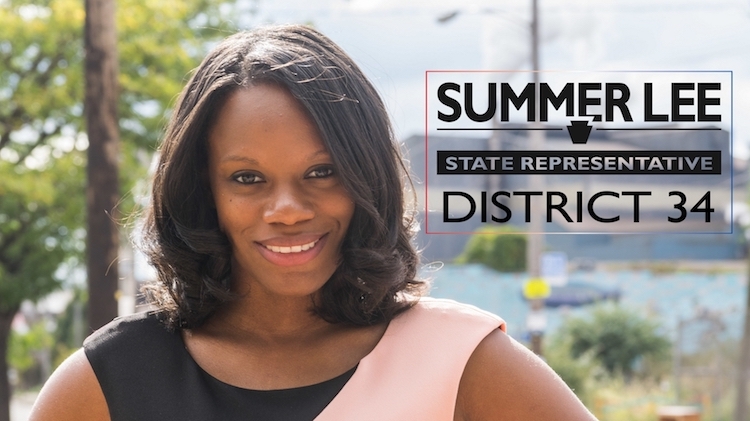 As Summer Lee contemplates serving as state representative for District 34 next year, she knows she’ll face challenges. Women, especially women of color, are lacking in numbers in the general assembly. But Lee, who bested long-time state representative Paul Costa in May’s Democratic primary, is not at all daunted. There are only 26 members of the Pennsylvania Legislative Black Caucus and 45 women serving in Pennsylvania’s House of Representatives or Senate. Assuming her very likely win in November, Lee will arrive on the scene and be unlike any of them. Only 30, she never intended to run for public office. A North Braddock native who studied journalism at Penn State after graduating from Woodland Hills High School, her childhood dream was to be the next Oprah Winfrey. Instead, Lee earned a law degree from Howard University in Washington, D.C. While waiting for the results from the bar exam, Lee took a job as an organizer for Hillary Clinton’s 2016 presidential campaign. Her first reaction? She didn’t like or want the position. Lee’s assigned territory included Forest Hills, Braddock, North Braddock, Braddock Hills and Edgewood. She met super voters — those who reliably cast votes in every election — and people who rarely, if ever, voted. Lee then helped Akeya Kester with a successful write-in campaign for the Woodland Hills school board in 2017. Activism suited her. Being a politician, however, wasn’t a consideration until she met Daniel Moraff, a community organizer who served as the campaign manager for Mik Pappas’ successful bid for District Justice in the 31st Managerial District in 2017. A member of the Democratic Socialists of America (DSA), Moraff was impressed by the way Lee expressed herself. Lee initially turned down Moraff’s request to run in District 34. After he insisted on a meeting and promised to leave her alone if she declined a second time, Lee realized her candidacy would not be a “pie in the sky” lark. There was a pathway to victory if she was willing to meet voters where they lived. Lee opened a campaign office in Braddock — she considers the town and North Braddock inextricably linked — in a beauty shop. It might not have been the most central location, but Milton’s Top Notch Hair Salon gave her access to a constituency she felt had been ignored. Summer Lee with her team at their Braddock Avenue headquarters. Image used by permission. “I wanted it to be accessible, so those people could access the campaign and participate and so it could be theirs and they could make it their own,” Lee says. As Lee campaigned, she started to realize that Costa and the Democratic establishment had lost touch with the electorate. A few town halls were no substitute for going door-to-door to meet voters. 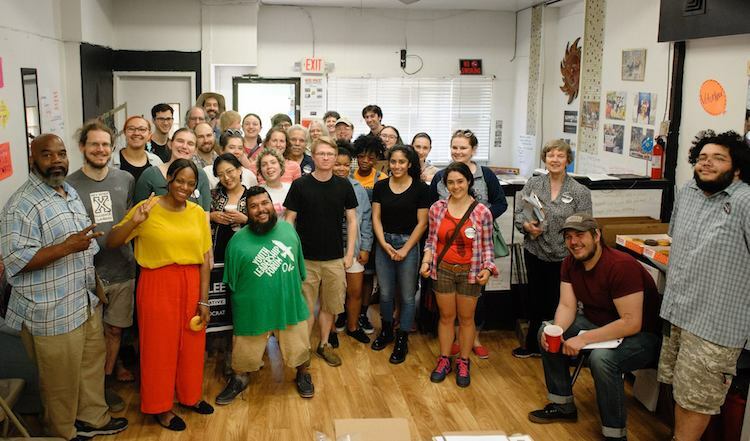 Lee’s campaign targeted three groups: millennials/supporters of the Democratic Socialists of America, people of color and women in the suburbs. Moraff admits they are three “non-overlapping groups,” but Lee was able to address their concerns through her message and personality. “Summer very much had a claim to all three of these groups,” Moraff says. Lee’s platform included Medicare for all and investment in education, issues that resonated with voters. 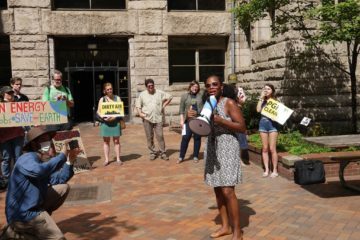 While she had support from the DSA, Lee points out she also received backing from other groups, including the Sierra Club. Lee admits the word “socialism” might have been a drawback if not for Bernie Sanders, who describes himself as a Democratic Socialist.